Recently I made some cupcakes that turned out mostly great. However, even other people than me – I have an aversion towards overly "sugary" desserts – said they were fairly sweet, and for me it seemed to obscure the other flavors. Is there any rule-of-thumb on what the "correct" ratio of sugar to other ingredients in a cake recipe is so I could tell if the recipe was using too much? (The recipe was: cream butter and sugar, add flour and baking powder, add eggs, add milk, stir until just combined, bake.) Or how far I could reduce sugar from the standard recipe without negatively affecting texture / moisture? And is it necessary to adjust any of the other ingredient amounts along with the sugar? The sugar should weigh the same as, or slightly more than, the flour. Remember that this is weight, not volume. A cup of sugar weighs about 7 ounces, and a cup of all-purpose flour weighs about 4-1/2 ounces. So, if we're building a recipe with 1 cup sugar, we'll need about 1-1/2 cups flour (about 6-3/4 ounces). Sugar plays a very important role in creating the structure and bite of cakes, and also helps to retain moisture and inhibit spoiling, so you cannot simply reduce the quantity without limit to control the sweetness. That being said, most recipes have a certain amount of tolerance. You can probably reduce the sugar by about 20 to 25% without completely altering the nature of the recipe, although the crumb may suffer a little. Vanilla and rose are delicate flavors. If you are making a yellow cake with butter, and egg yolks, they may be competing and masking the flavor. Using a white cake base may allow these flavors to show through more clearly. I made a lemon drizzle cake (based on this recipe) and reduced the sugar from 225g to 70g (roughly 30%) and it turned out great. For the drizzle I removed the sugar completely and only used lemon juice. The cake was obviously not as sweet and was unusual at first in appearance and texture, but overall it was tasty and I will make it again. It's a bit late but I hope it helps. According to PJ Hamel, from King Authur's flour, and my own experience (I'm also Asian, if it helps), You CAN reduce the amount of sugar to about 50-65gr for every 100gr of flour (in cupcakes and muffins) WITHOUT making it less yummy! For example, if the recipes call for 1 cup (120gr) of flour, you can chose to just add 75-80gr sugar, or more if you like sweeter stuff, but for me this is a safe start. In conclusion, reduce the sugar, it won't hurt, plus it's healthier and the sugar won't overpower the more delicious and expensive ingredients in your recipe. 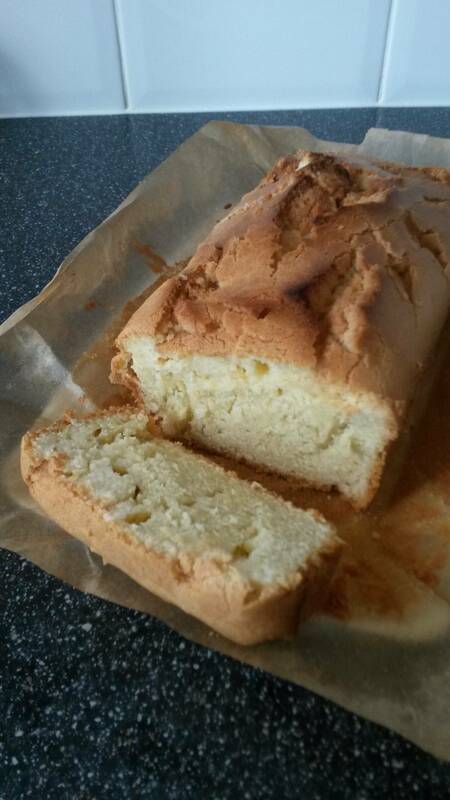 I have reduced the sugar in a lot of cake recipes by 50% without any adverse effect. I have spoken to a number of chefs who say the same thing. You can replace sugar completely with fruit puree, syrups (ie: honey, maple, rice) spices, even veggies. If a recipe calls for 1 Cup of sugar, use half a cup. My brother in law can't stand sweets, so I've taken out sugar and replaced it so many differant ways and times... especially since my mom's a diabetic. i hope its helpful. If reducing the sugar, add a 1/2-teaspoon of salt and 1 tablespoon of flour. The flour will help balance the change in the dry-to-wet ingredient ratio, and the added salt will help to bring out the flavors of the butter cake. Not the answer you're looking for? Browse other questions tagged cake sugar or ask your own question.